See preview images from HISTORY OF THE MARVEL UNIVERSE by Mark Waid, Javier Rodriguez, and Alvaro Lopez! As announced over the weekend at the Chicago Comic and Entertainment Expo, Marvel fans will be treated to a brand new, comprehensive look back at the beginnings of the Marvel Universe! Coming this July, HISTORY OF THE MARVEL UNIVERSE, a six-issue series written by Mark Waid with art by Javier Rodriguez and Alvaro Lopez, will provide a fresh look at the origins of your favorite Marvel stories. HISTORY OF THE MARVEL UNIVERSE will go all the way back to the Big Bang and the beginning of time and conclude with the twilight of existence. 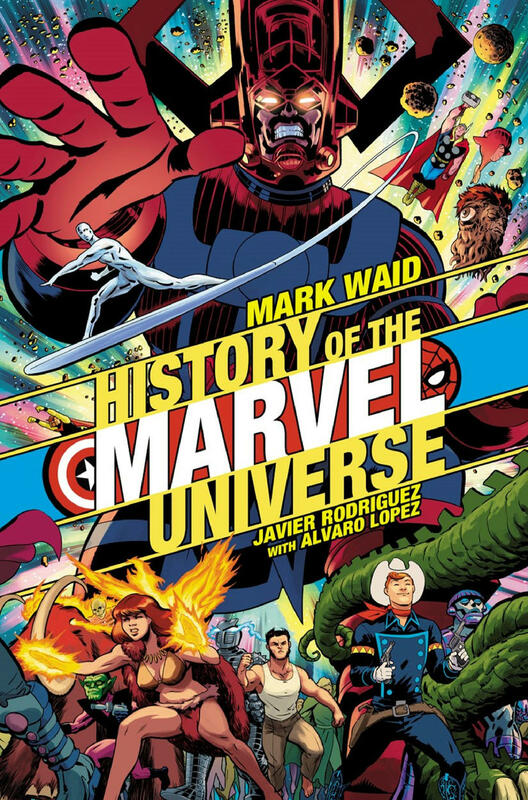 "HISTORY OF THE MARVEL UNIVERSE is exactly what it says on the package—a sweeping story that covers all of the important events in the span of Marvel history from the Big Bang all the way to the heat-death of the universe. It’s not a Handbook, it’s not MARVEL SAGA, it’s an all-new story that puts all of these events into a greater context. But like those earlier projects, it will also serve as a massive master reference resource for anybody who wants to know what went down when. Even those readers who think they know everything will find new surprises and revelations—and the artwork for the series will make it a visual delight for both those new to Marvel as well as decades-seasoned Marvelites." You can view a gallery of some of the art by Rodriguez and Lopez that was shown at C2E2. Stay tuned to Marvel.com for more news about HISTORY OF THE MARVEL UNIVERSE, coming July 2019!